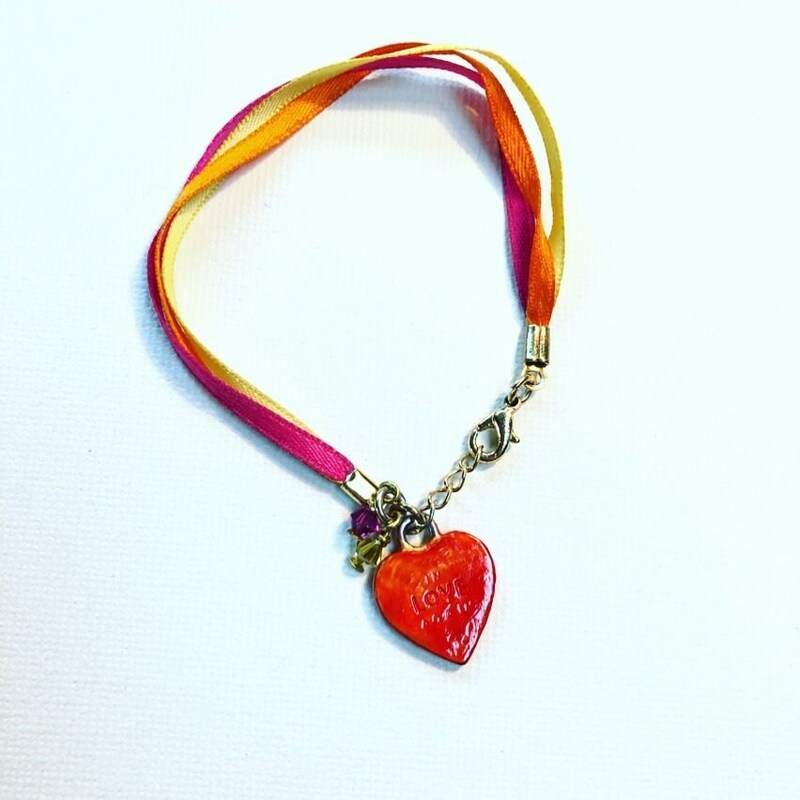 BrightLove Bracelet - Orange, Pink and Yellow ribbon.Swarovski crystals. Orange enamel metal heart, with word Love. 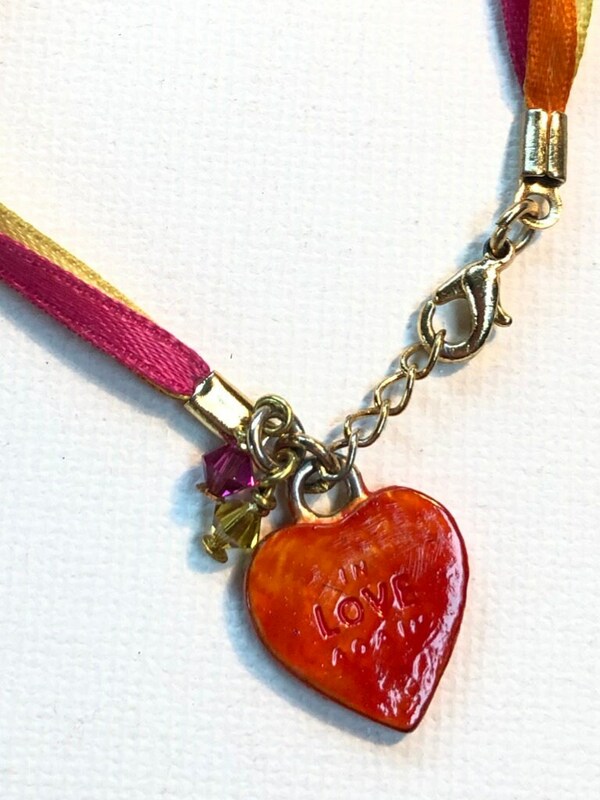 BrightLove Bracelet - Orange, Pink and Yellow ribbon finished with a golden lobster clasp an enamel orange metal heart with the word Love engraved, and two Swarovski crystals in pink and yellow. It is light weight, and cheerful.